SCFM is proud to announce the creation of the annual SCFM Jekyll Island Management Institute (JIMI) Scholarship, to support one SCFM member in attending this professional training program offered through the Southeastern Museums Conference. SCFM will award $650 to cover the SEMC member level of JIMI tuition, and an additional $450 for travel and lodging while at the program. To apply for the scholarship, send a letter explaining how attending JIMI will benefit you and your institution to SCFM@southcarolinamuseums.org with the subject line "JIMI Scholarship." Please also forward copies of your complete JIMI application materials with your letter, and include your SCFM member number. The SCFM-JIMI scholarship cannot be combined with other JIMI scholarships or fellowships. Scholarship recipients may be asked to review future scholarship applications. Check back for information on applications for the Jekyll Island Management Institute which would be due sometime in January 2020. For information on this prestigious program and application process, please click here. Deadline for scholarship application is the same as the JIMI application deadline. The South Carolina Federation of Museums offers scholarships to attend its annual conference. The conference presents opportunities for increased networking and professional development in South Carolina. The South Carolina Federation of Museum is pleased to offer a $750 travel scholarship to assist an SCFM member in attending the Southeastern Museums Conference Annual Meeting in Jackson, Mississippi, October 8-10, 2018. Criteria for all awards include, but are not limited to: demonstrated merit in the museum field of in any role; educational background; activity in professional organizations; ability to share knowledge gained at the conference with others; and financial need. Members who have received an SCFM travel award in the last 3 years are not eligible to apply. Award winners will be required to provide a written summary of their SEMC experience for the winter 2019 edition of Good Muse. All eligible SCFM members are encouraged to apply. Hilton Head Island, SC 29925 . SCFM offers the George D. Terry Professional Development Fellowship annually to its members. This fellowship will be on a first-come, first-served basis and will be given to support professional development in the museum field. At the beginning of each calendar year, the SCFM Executive Committee will designate a sum of money to support members who would like to attend workshops, talks or classes that they would otherwise be unable to attend because of lack of funding. The idea is to support the smaller scale educational opportunities rather than major conferences or travel. A copy of the flyer, brochure, or announcement for the event that you would like to attend. A letter explaining how this professional development opportunity would benefit you and your institution. A letter from your supervisor indicating his/her support of your attendance. An outline of the funds necessary to make your attendance possible. The awards committee will consider each application and reply in a timely manner. Requests should be under $100. Fellowships will be available until the yearly allocation is dispersed. Only one fellowship will be awarded per year to any given institution or person. Each person awarded a fellowship will be asked to share his/her experience with the membership through a brief report that will be printed in a future issue of Good Muse. 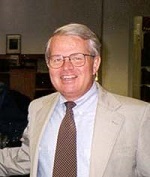 Dr. Terry held BA, MA, and Ph.D. degrees in history from the University of South Carolina. He served as the first Curator of History and then Director of the University's McKissick Museum from 1976 -1988 and was a Vice President for Administration at USC as well as head of the museum from 1988 to 1991. Upon becoming Dean of University Libraries he managed the Division of Libraries and Collections bringing together the libraries, Museum and Institute for Archaeology and Anthropology with a focus on collections and public service. A dedicated believer in the importance of collections to both museums and libraries, his tenure resulted in the dramatic growth of the Special Collections Department at Thomas Cooper Library, and McKissick Museum's folklife holdings. Dr. Terry shared his knowledge and passion for museums with the graduate students he taught in the Museum Management Program at USC. A supporter of SCFM, he served in several capacities including President.